Make stress-management the goal, not living stress-free. Molly Reynolds, Entrepreneur, Marketing Columnist, and Host of The Unicorn in the Room. Stress is commonly defined as a response by the body to fear or pain, a symptom that can interfere with the well being of a person. Stress manifests itself as physical, mental or emotional strain. Everyone experiences stress and everyone is trying to reduce their stress. Stress relief is the main reason people go on cruises or vacation on a remote beach or in the mountains — someplace where they can relax, decompress and temporarily escape the pressures of life. We will never be without stress, but how we manage stress is key. Sometimes stress can even work to our advantage when it is managed as a force for positive change. Stress in relationships starts when we’re infants and lasts all our lives. We experience stress as we strive for food, shelter, affection, and safety. Stress often accompanies our efforts to communicate what we need, or how we try to control situations or other people. Communication problems cause much of the stress in any relationship. The book Crucial Conversations teaches skills for communicating when the stakes are high, opinions vary, and emotions run strong. These communications may be in a business setting, a family relationship or among friends, and can be one-on-one or with groups. The book teaches skills that help you talk with anyone to reach alignment and agreement on important matters. Honesty and tact are two of the skills that are essential to master in order to reduce stress in relationships. Force for positive change: Stress can motivate you to try harder in your various relationships — to communicate more effectively, listen more carefully, or in some cases to motivate you to exit a toxic relationship. Follow your inner voice and make the effort to learn and apply communication skills. It doesn’t always come naturally; it takes effort and practice. Financial challenges are a common source of stress. There’s never enough it seems, even when you have plenty. We’ve all heard of professional athletes who earned tens of millions of dollars in a given sport, then spent it all and ended up bankrupt and millions of dollars in debt. The reality is that it’s not how much you earn; it’s what you do with what you earn. A large segment of the American adult population can’t qualify for a simple loan. It’s reported that some 12 million people owe money to payday lenders, those strip-mall businesses where loan interest rates can be more than 900% annually! If you’re one of those people, you understand what financial stress is. Reducing financial stress means living within your means, managing your impulses and being realistic about your capabilities. It means saying no — to others and to your self. A common negative result of financial missteps is a low credit score, which can increase borrowing costs and even make it impossible to obtain a home mortgage. If you have bad credit, you can follow these six steps to improve your score. Force for positive change: Stress is like a pressure valve; it measures internal forces so those forces can be controlled. If you’re feeling stress over finances, that is an indicator that you need to dial back your spending and/or earn more money to reduce the pressure. Heed the early warnings before you wind up deep in debt. I had a hard-charging boss many years ago who liked to tell his staff that vacation time was useful only to recharge ourselves so we could come back and work even harder. He subscribed to the “live to work” attitude, definitely not the “work to live” attitude. He also thought that everyone he managed had the same love and capacity for work that he did. Stress flowed freely in this man’s fiefdom. While bosses can often be the source of stress, people create their own stress in the workplace. They compare themselves to others rather than just doing their best. They say yes to every request rather than realistically managing their time and efforts. They lose their sense of balance and spend too much time at work at the expense of family and self. Stress takes the place of job satisfaction and happiness. Force for positive change: Embrace challenges and work hard, but set realistic expectations and pace yourself for the long haul. 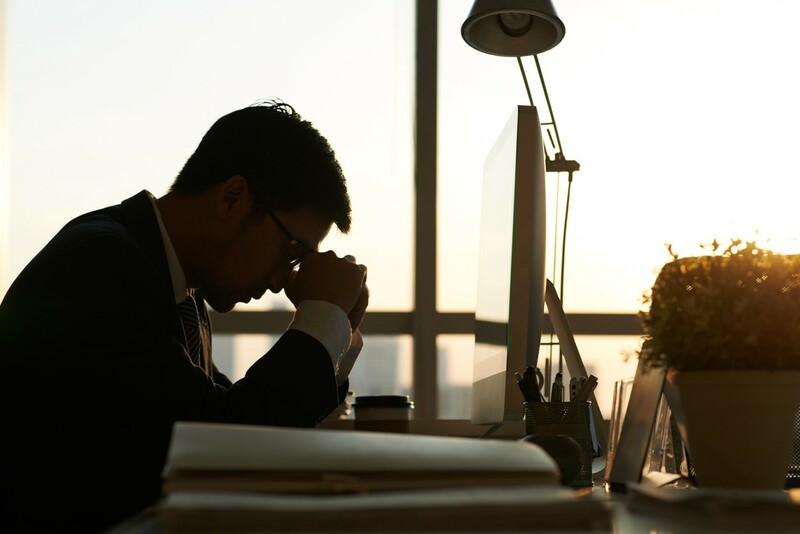 Stress may be an early indicator that things are out of balance, so take an objective look at your attitudes and motivations and make adjustments that will help your long-term performance. Finally, the goal is not to live a stress-free life, but to live a stress-managed life. Just as stress on a muscle creates a larger muscle, stress can motivate us and help us achieve greater things and become better people. Stress can also alert us when something is wrong or needing adjustment. If we pay attention to where stress is coming from and why, we can take steps to manage it to our advantage.